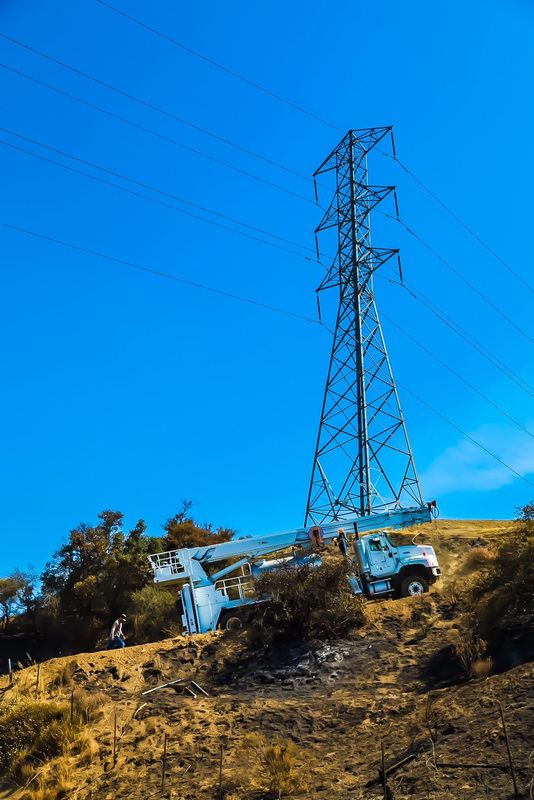 SCE crews make their way up difficult terrain to do a hot wash of a 220-kV transmission tower following the Whittier Fire. 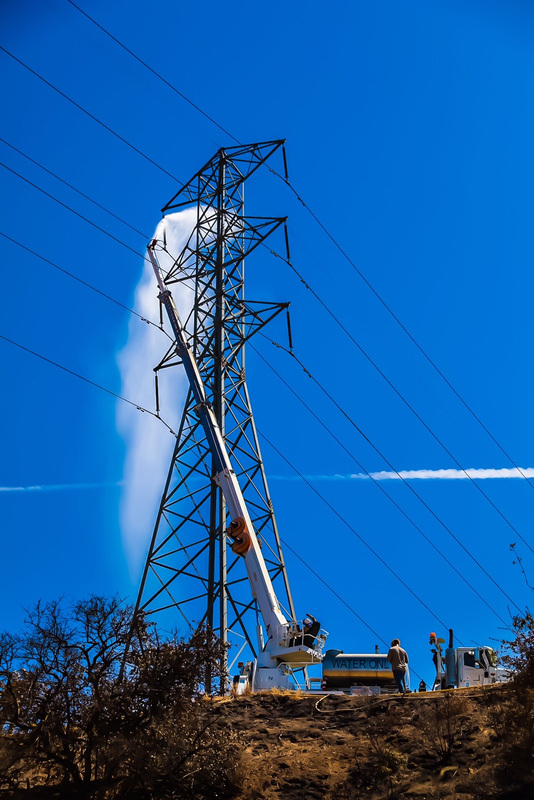 Deionized water is used to clean the insulators on the transmission towers of soot and smoke from the recent fire. 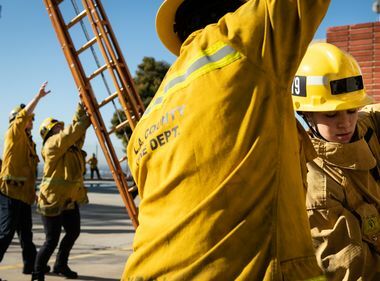 With the Whittier Fire now 67 percent contained with no active fires burning, Southern California Edison crews were able to access the affected area in Santa Barbara today to clean the transmission towers of any fire contaminants. 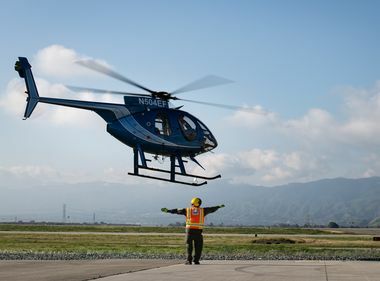 Called a “hot wash,” the four-man SCE crew uses deionized water that sprays with an intensity of 1,000 pounds per square inch at the nozzle to clean the insulators on the towers of any remaining carbon and soot. 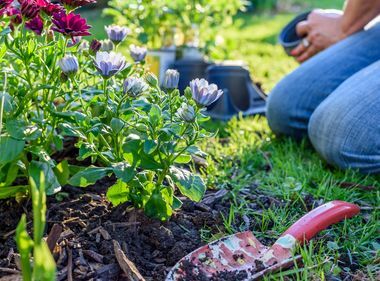 These materials could cause a short circuit and possibly lead to an outage. The cleaning time is only about 15-20 minutes, but the crews have to first access the remote and difficult terrain. With the help of fire department bulldozers, difficult to access roads are made easier by removing any debris or roadblocks. 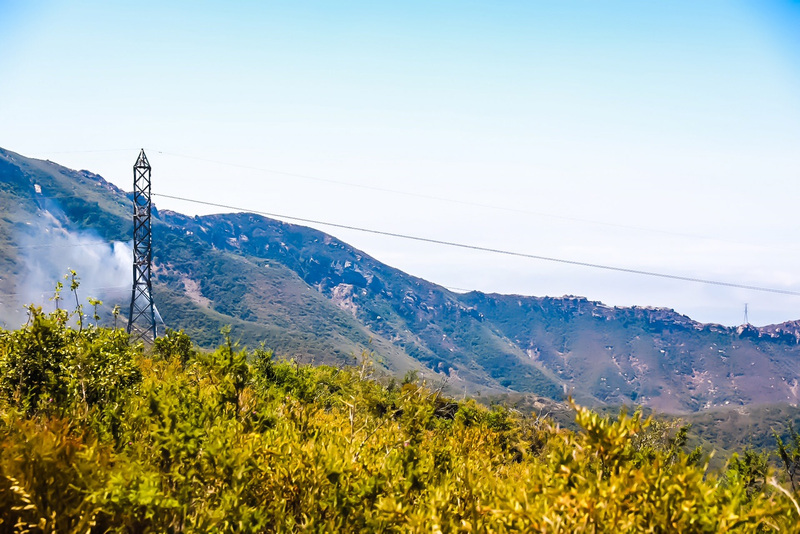 When fires occur in dense brush areas, like the Whittier Fire, the thick smoke often requires insulators on transmission towers be cleaned. Deionized water is used so that the water does not conduct electricity while cleaning the energized towers. The insulators are made from materials such as glass, porcelain, plastic and silicone that are highly resistant to electric flow and keep the wire from touching the tower to prevent electricity flow. 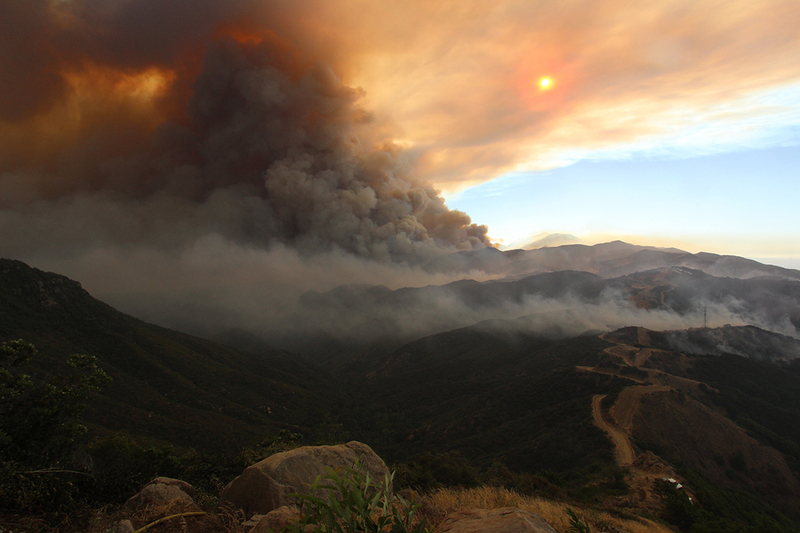 The Whitter Fire in the Los Padres National Forest started on July 8 and has so far burned more than 18,000 acres. 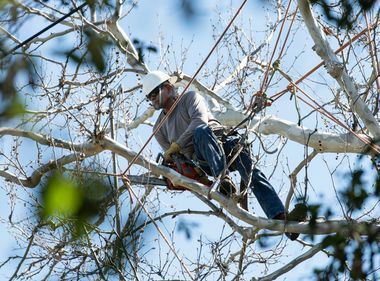 SCE crews and staff had been closely monitoring the fire since July 9 with two 220-kV transmission towers located near the affected areas.